I actually cant believe we are already welcoming October! This year has gone by so fast and we have seen so many really fantastic boxes from The Test Box this year! This month is another fantastic month as we explore the TIGI Oatmeal and Honey range. 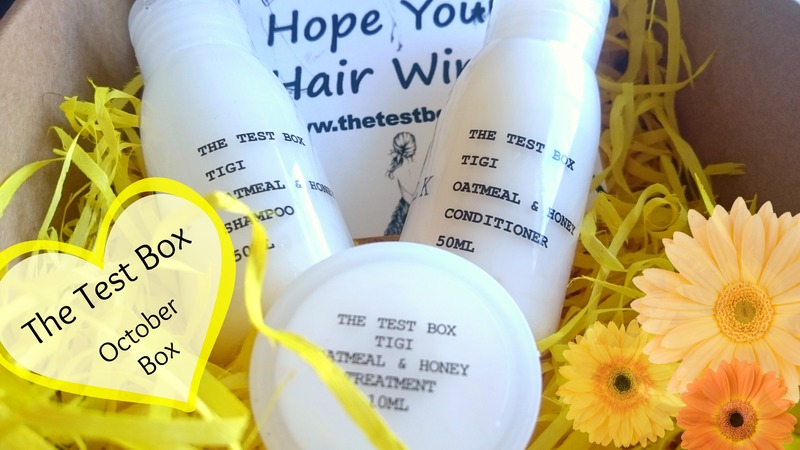 If you haven’t already checked out The Test Box then you really should, for only R160 a month you get a box of amazing hair care samples sent to your door!! 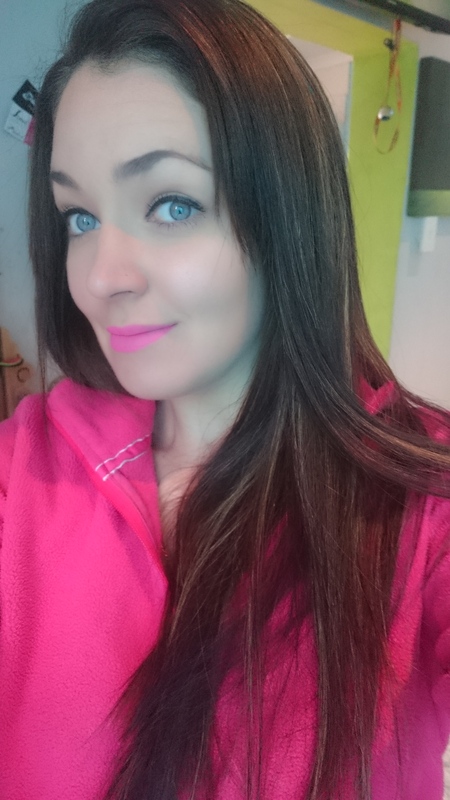 Every month I am always so excited to see whats gonna be in The Test Box, this month my hair definitely needs some special love because I have again gone and added some highlights and put some color in and everything that I totally shouldn’t be doing to my poor hair. Lucky for me this months box has the TIGI Catwalk Oatmeal and Honey range in it. Like it was just sent from heaven for me! :) The Box Contains a 50ml shampoo, a 50ml conditioner and a 10ml treatment. Thank the hair gods for The Test Box!!! The conditioner is thick and creamy with the same yummy smell!! not joking, it smells so yummy I had food cravings after washing my hair hahah. 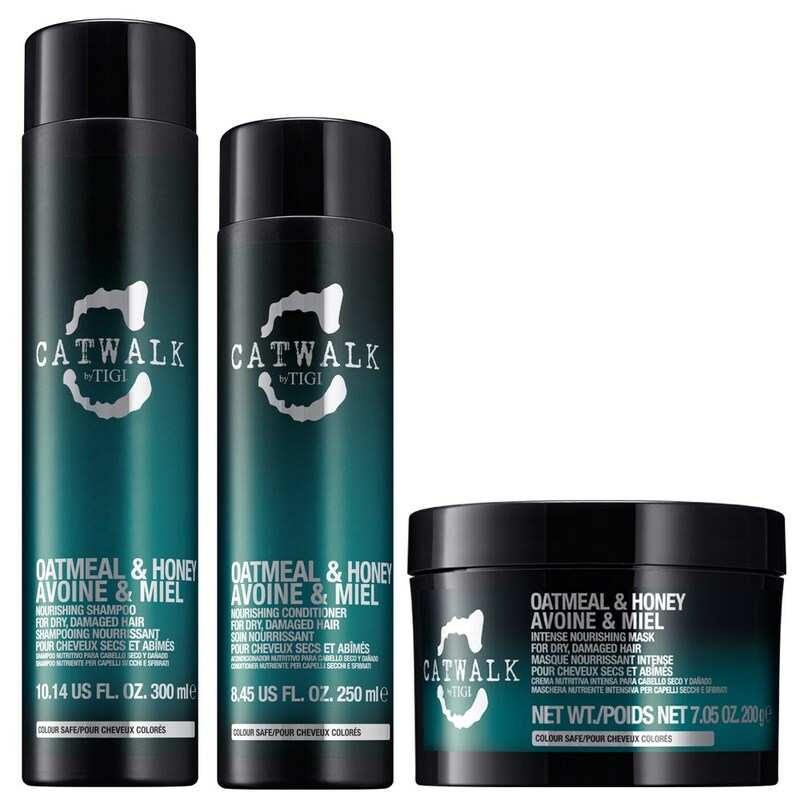 The TIGI Catwalk oatmeal and honey conditioner is for dry and damaged hair. It nourishes hair leaving it smooth, shiny and silky soft! I left it on my hair for about 10 min before washing it off. It gives hair a lush feeling and you can feel it has smoothed hair and given it the good moisture that it needs. 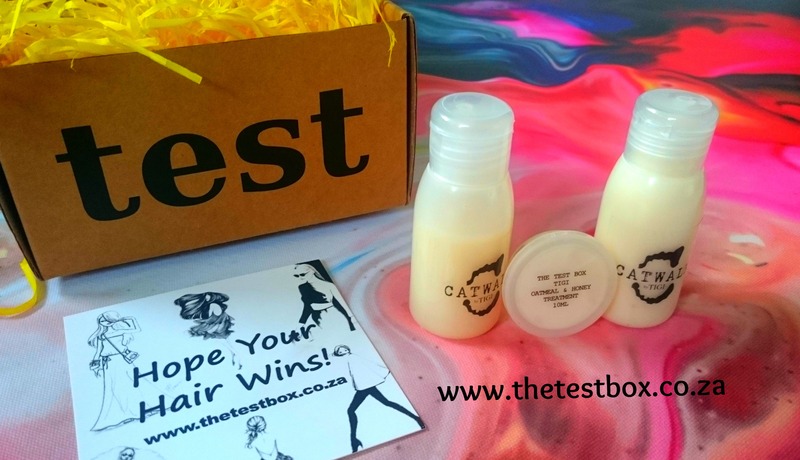 Head over to www.thetestbox.co.za , you can shop for all your salon hair care products and check out subscribing so you can also get your very own monthly box! Loving the review! You made me jump up from my lazy saturday in front of my tv and go wash my hair with my The Test Box samples! Now I must admit my hair feels and looks great! There is nothing like pampering yourself to feel better about….well, just about everything! I’m seriously considering spoiling myself with this great product. Thanx for making me excited about my hair again. You rock!